We firmly believe that healthy nutrition comes from high quality, natural ingredients. This philosophy is deeply embedded in the Amigo spirit of creating the best nutrition for your best friend. 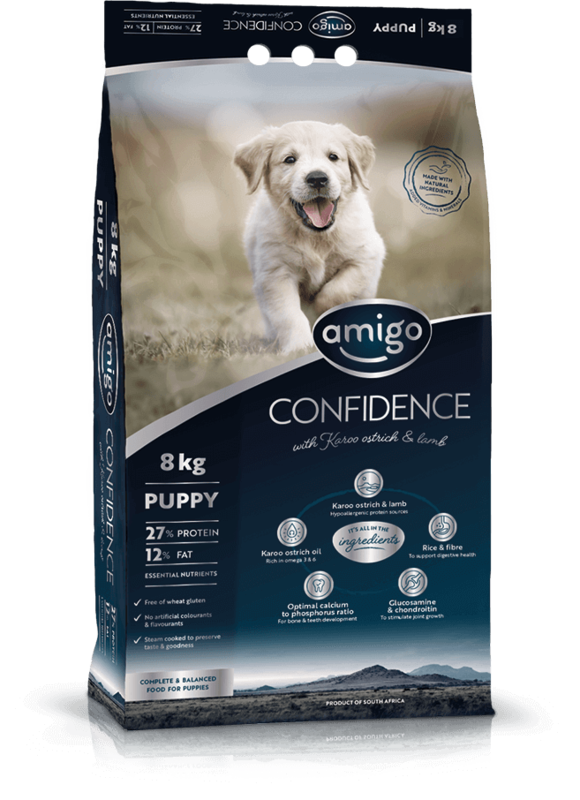 At Amigo we are passionate about creating the best nutrition for your dog. Our factory is located on the outskirts of Mossel Bay, the perfect environment for sourcing the best-tasting natural ingredients, like Karoo ostrich and lamb. Our recipes are prepared in small batches in our own kitchen. They all go through a delicate steam cooking process which ensures that all ingredients preserve their natural taste and nutritional goodness.  We guarantee full traceability of our products due to our short local supply chain, ensuring a safe and transparent journey all the way from our kitchen to your dog’s bowl. Healthy nutrition comes from high quality, natural ingredients. 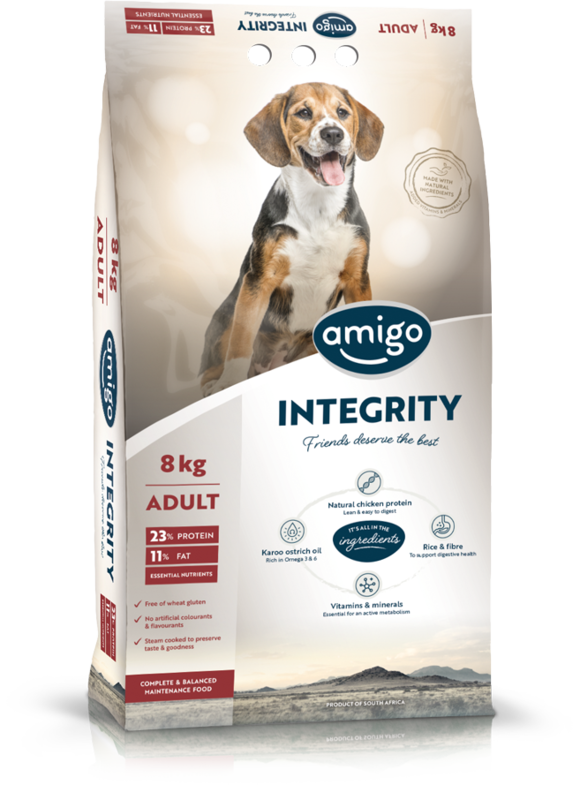 Amigo Integrity is a premium quality range suitable for dogs of all breeds and sizes. 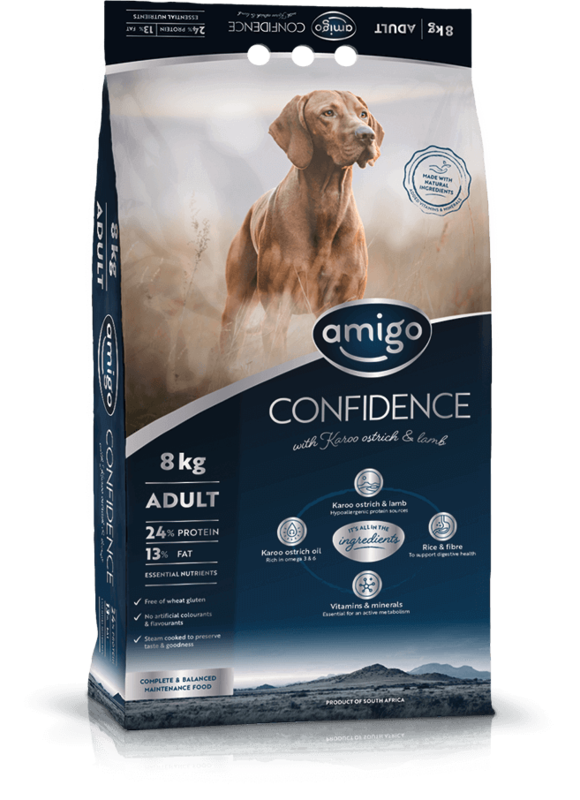 Our food offers premium quality protein to support your dog’s nutritional requirements. 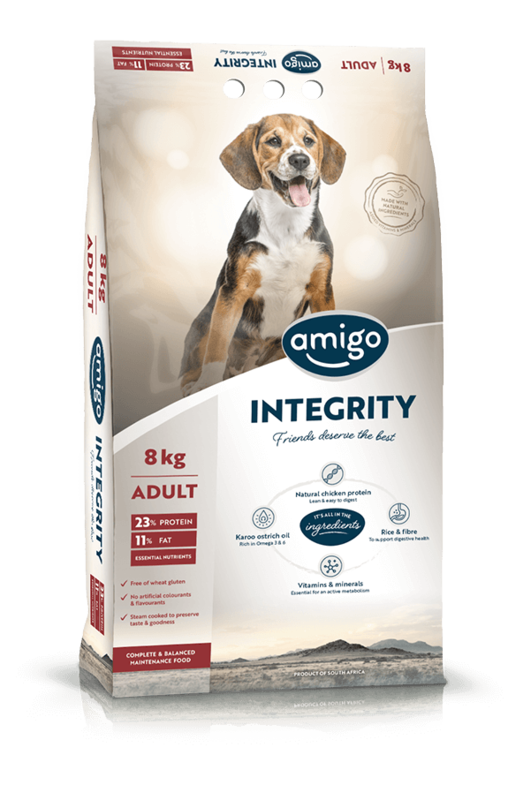 Amigo Integrity includes a selected blend of highly bio-available organic and crystalline trace minerals that help support your dog’s immune system. 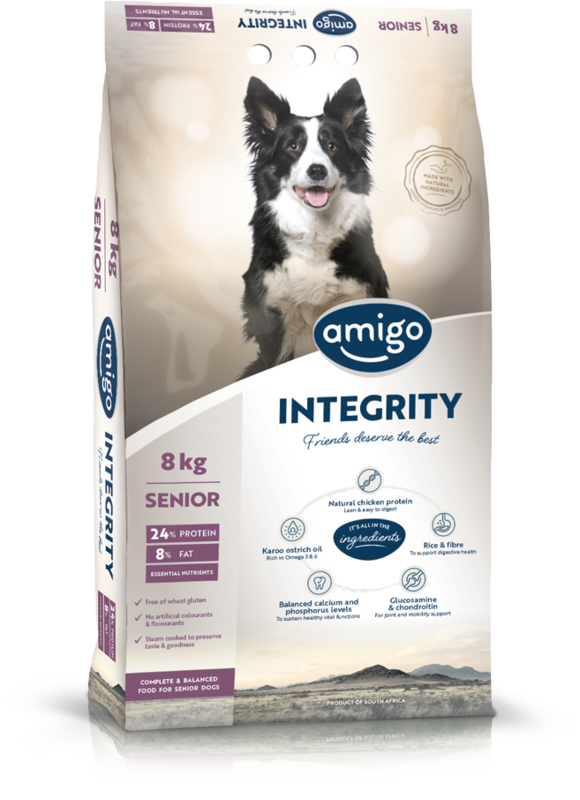 Amigo Integrity contains high levels of Karoo ostrich oil, a well-known source of antioxidants and essential fatty acids such as Omega 3 & 6. 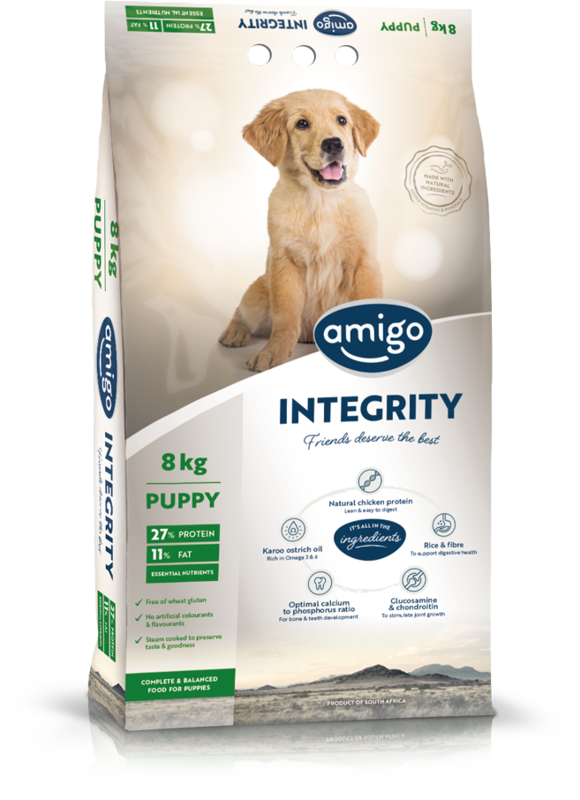 Amigo Integrity Puppy, Adult and Senior dog foods allow you to adapt your dog’s nutrition to her exact physiological stage. 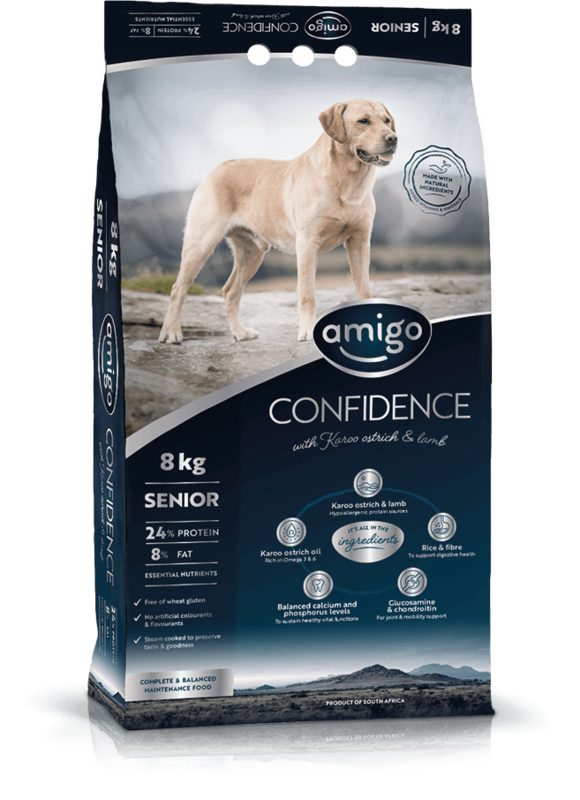 Amigo Confidence Puppy, Adult and Senior dog foods allow you to adapt your dog’s nutrition to her exact physiological stage. 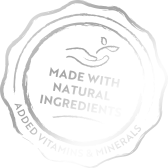 ©2019 Afripet (Pty) Ltd. All rights reserved.